Semafone was established in 2009 with the aim of addressing the challenges posed by the Payment Card Industry Data Security Standard (PCI DSS) for card payments made by telephone. The business was founded by a team of experienced call centre professionals who had spent two years developing pioneering fraud prevention software. This enabled call centres to take credit card payments without employees ever hearing or seeing their customer’s card details. The software allows customers to remain in voice communication with call centre staff whilst they enter their credit card information into their telephone keypad. Semafone’s patented technology masks the Dual Tone Multi-Frequency (DTMF) tones from the cardholder’s telephone and replaces them with a flat tone so they can’t be recognised by call centre employees or recorded on a call recording system. By the end of 2011, Semafone was enjoying rapid growth under the leadership of chief executive, Tim Critchley. With ambitious plans to drive further sales and increase market share both throughout the UK and internationally, and with investment from Octopus Ventures, the company wanted to add strength to its already impressive board by appointing an experienced non-executive chairman (NEC). It was essential that the new chairman had a track record of building a successful, international, venture backed business, as well as an in-depth understanding of the global impact of PCI DSS. Crucially, they would know how to best capitalise on Semafone’s potential for growth, within the relatively short window of opportunity available. We then appointed a dedicated researcher to work alongside the rest of the Intramezzo project delivery team; profiling the relevant key markets, in particular the card payments and telecommunications industries. This in-depth research enabled us to present Semafone with a shortlist of four candidates – all of whom met the exacting requirements agreed at outset. Each of the shortlisted candidates had been thoroughly prescreened by Intramezzo and the next stage was for us to arrange interviews with Semafone’s board. Intramezzo managed the entire process, liaising between all parties, arranging interviews, providing feedback throughout and ensuring the project was completed within Semafone’s required timeframes. The rigorous interview and selection process, resulted in Semafone welcoming David Sear as their new non-executive chairman. David was the divisional managing director of Travelex Global Business Payments and a former director of WorldPay. While at WorldPay, he was one of the pioneers of secure online payments – experiencing firsthand the challenges of maintaining consumer confidence in new channels for card payments. A true industry ‘heavyweight’, David was ideally placed to keep Semafone at the vanguard of PCI DSS compliance and drive the new phase of growth they were seeking. 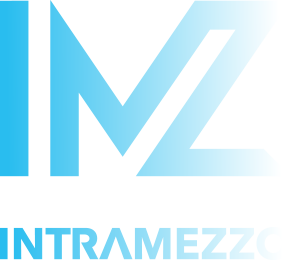 “We chose Intramezzo as our search partner to find our NEC because they demonstrated the most recent and relevant experience recruiting boards for high growth technology ventures. Intramezzo managed the search process very effectively, keeping us well informed at each stage and providing valuable advice which led to a highly successful outcome. This effective process has allowed us to secure a world class Chairman from a strong shortlist of candidates.